Hurd windows is a smaller manufacturer that is known primarily for selling wood and wood clad windows. The company is based out of Medford Wisconsin, although they have distributors throughout the United States. For the most part, Hurd is a high end manufacturer, meaning that a large majority of their windows go into high end custom homes and they tend to work with high end contractors etc. Many of these high end contractors love their windows because they are very nice looking. Others have had issues with them in the past and won’t recommend these as top wood window options. In 2014, Hurd has once again been purchased by Sierra Pacific Industries, which is a company headquartered in Andersen, Ca. It is unclear how this will affect Hurd, probably not significantly, but only time will tell. Hurd has a mixed reputation from the perspective of contractors and homeowners due to a wood rot issue in the 1990s that affected a number of wood window manufacturers. In addition, the company was purchased in the late 2000s and the “new Hurd” essentially was not required to service any past warranty claims. While this was completely legal, it certainly angered anyone who purchased expensive wood clad windows and eventually had a problem, but no real recourse. In 2014, Hurd has once again been purchased by Sierra Pacific Industries, which is a company headquartered in Andersen, Ca. It is unclear how this will affect Hurd, probably not significantly, but only time will tell. 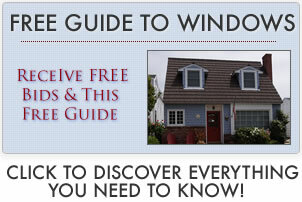 Read all of our Hurd windows reviews. Transcend Series – Hurd has one replacement line, but the company is really not known for their replacement windows, focusing instead on the new construction market. Hurd window costs will be at the high end of all replacement window costs. A normal sized H3 wood window with installation should run $800 to $1100 fully installed, depending on the glass package, exterior color, interior finish, hardware options and any additional upgrades such as grids or screens. Get more Hurd windows prices here. Hurd offers a pretty standard warranty package; 20 year limited transferrable warranty on the insulated glass and 2 years on glass cracking. They offer a 10 year limited transferrable warranty on all of the non glass components.